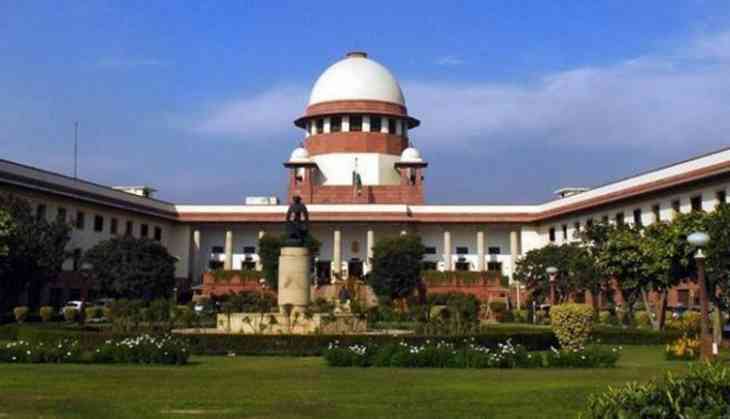 Supreme Court on Saturday will hear the petition filed by the Congress-Janata Dal (Secular) challenging the appointment of Bharatiya Janata Party (BJP) MLA K.G. Bopaiah as the pro tem speaker to conduct the crucial floor test in Karnataka. A three-judge bench, comprising of Justices Ashok Bhushan and S. A. Bobde and headed by Justice A.K. Sikri, will hear the petition. The petition claims that the appointment made by Karnataka Governor Vajubhai R. Vala was "unconstitutional" and requests the apex court to set it aside. The petition also stated that despite the settled parliamentary convention and practice for appointment of a pro-tem speaker, a junior MLA with a dubious and controversial record of passing biased disqualification orders was appointed by the speaker. Meanwhile, both Congress in alliance with JD(S) and Bharatiya Janata Party (BJP) have claimed to have the simple majority in the house that is 111 for the 221-member assembly. Earlier on Friday, Vala appointed Bopaiah as pro-tem speaker ahead of floor test in the state assembly, breaking the convention of appointing the senior-most legislator. Yesterday only, while hearing another petition of the alliance, the Supreme Court reduced the time given by the Governor to the BJP to prove simple majority in the house and asked the party to hold the trust vote on Saturday at 4 pm. The decision was taken after the top court heard the arguments for and against the petition filed by the Congress and Janata Dal (Secular) following Governor Vala's invitation to the BJP to form the government in the state. The BJP is the single-largest party in the state assembly with 104 MLAs, however, they are still short of the simple majority mark of 111 by seven MLAs whereas the Congress alliance has 117 MLAs, including two Independent legislators.